Most of the palaces and major temples of Bangkok are located within Ratanakosin Island or nearby Dusit district in the old part of town. However, there is a real gem of a palace hidden away in the urban sprawl of Bangkok that is not far off the beaten track but still off the radar for most tourists. Suan Pakkard Palace (Suan Pakkard means a cabbage field or cabbage patch), sometimes also spelled Suan Pakkad (without the R), is a royal residence on Sri Ayuthaya Road in the heart of Bangkok. 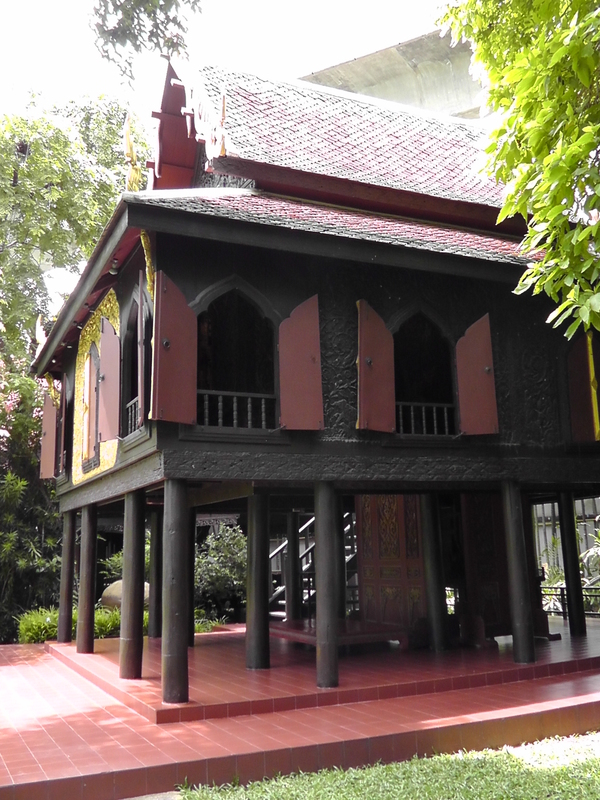 Although the residence is in regular use by the royal family, most of the grounds consist of old Thai houses displaying museum pieces, and set out in one of the more attractive tropical gardens in Bangkok. 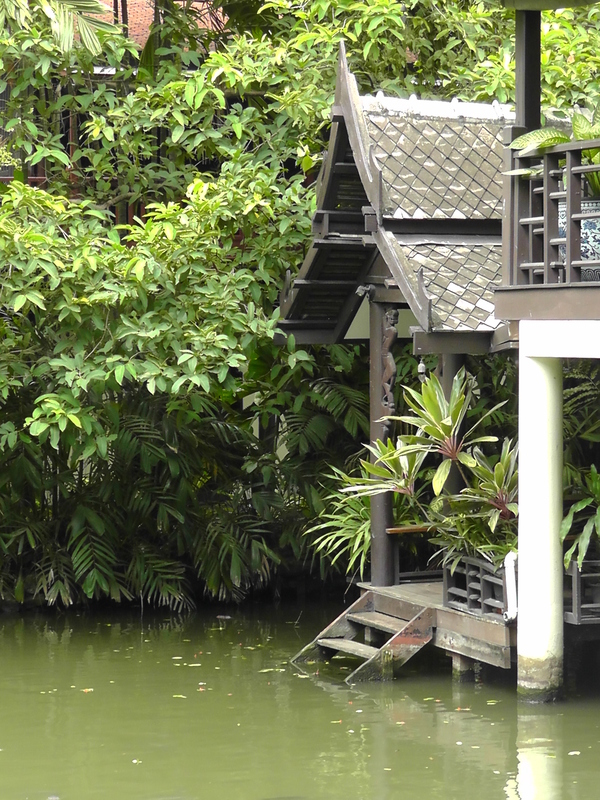 If you like either traditional Thai architecture, Thai history, or tropical gardens, then this is the place for you. One of the traditional Thai style houses. Notice the office buildings in the background. 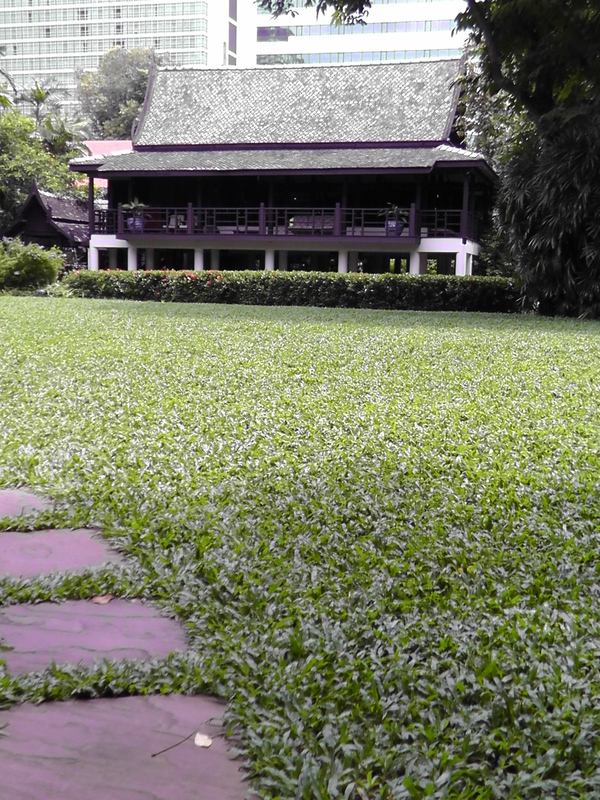 Suan Pakkard Palace was the residence of Their Royal Highnesses the Prince and Princess Chumbhot. They had amassed a great collection of Thai artifacts and antiquities and decided to put them on display for the public, by opening parts of their house to the public in 1952. Since then, the collection has grown, with their heirs, and others adding to the collection. In addition, the location of the house has gone from being considered on the far outskirts of the city where it was once surrounded by fields, to now being in the middle of an urban jungle, with skyscrapers and skytrains surrounding the property. Lacquer pavilion – notice the skytrain line running in the background. The surrounding area was once just open fields. When you first arrive at the palace, you start off at the main administration building, which is a recently constructed concrete and glass structure but built in a fusion of modern and traditional Thai styles. 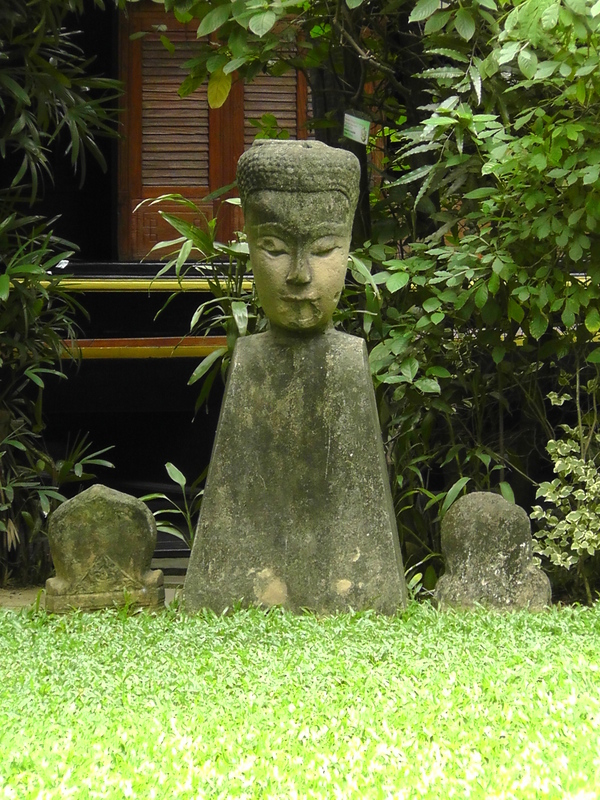 Behind the main office are a series of galleries that display early artifacts from early human habitation of Thailand, in the Ban Chang area. Many of these items are dated around 2,000 to 3,000 BC. In addition, there is a show-room (the Marsi gallery) that has the current month’s art exhibit, showcasing Thai artists. After the guided tour around the main building, you will be guided down to the lush tropical garden and shown traditional Thai houses and the boats (including a royal barge) that the royal family used to use on the canals around Bangkok. The centrepiece of architecture here is the lacquer pavilion, which is a small but elegantly decorated building that acts as a Buddhist library, storing the tripitaka (or Buddhist scripture). This building was originally two separate buildings that date back to the 17th century. The buildings were located in Ayuthaya province in a very dilapitated state, and were moved piece by piece back to Bangkok and painstakingly restored. The walls are covered in a combination of black lacquer and gold leaf, displaying stories about the life of the Buddha as well as scenes from the Ramakien. You will note once you are inside that there is effectively an inner chamber and an outer chamber. As I mentioned, this single building was originally two separate structures. After the lacquer pavilion, you will be lead through the garden and up to the second wooden house. 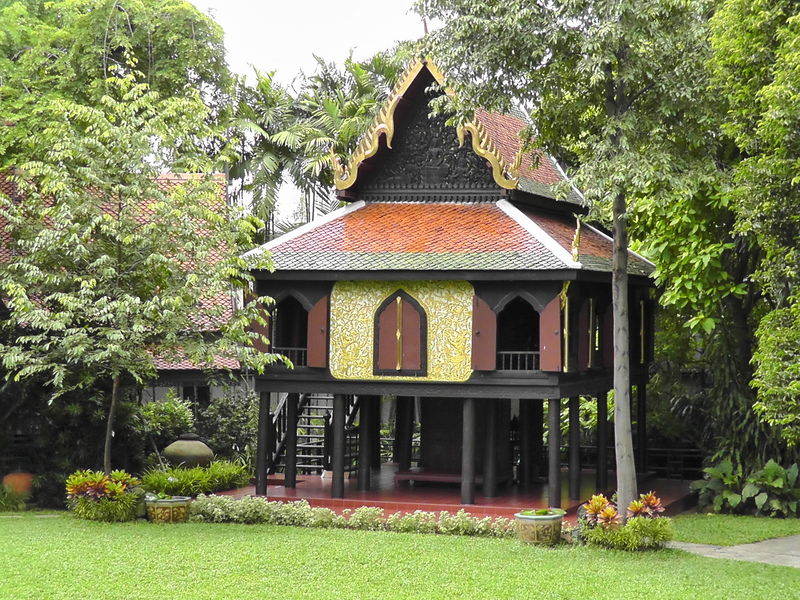 This is the first of a series of several inter-connected traditional Thai houses. The houses themselves were sourced from around the Central Plains region and reconstructed on the palace grounds. The different houses contain different showcases, based on theme, including antique statues, furniture, niello-ware, silk, weapons, paintings, Thai masks and even gifts from European royalty. The final display is a more modern building near the north gate of the palace, which has a display of Thai music instruments. For those that are interested in music, this is an interesting section because it highlights that the Thais had their own musical notation (set at different frequencies to Western notes) and examples of Thai music are played. Also, this final building is air-conditioned. After your guided tour, you are free to wander the grounds yourself. This is possibly the best part, as the photo opportunities are endless, and the tropical garden is worth exploring carefully, as there are some very interesting hidden nooks. Keep in mind that some of the houses on the grounds (near the entrance) are private residences that are still in use. 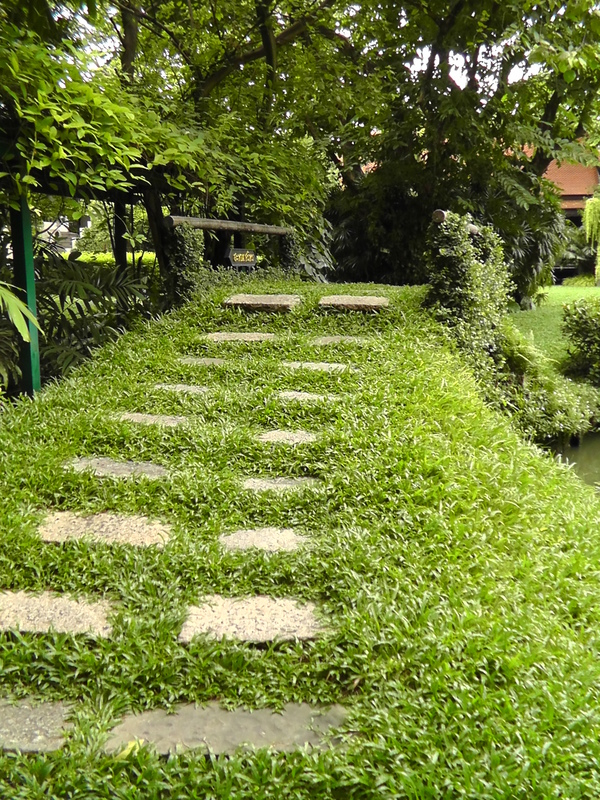 Suan Pakkard is located on Sri Ayuthaya Road, 200m east of the intersection with Phayathai Road. It is just north of the skytrain link that heads to the airport. Accordingly, the easiest way to get to the palace is to take a skytrain to the Phayathai BTS station. Exit from the northern exit and head down the east stairway (in front of the Florida hotel), then walk east along Phayathai Road for 200m. Once you see the Deja Hospital, you are almost there. The palace is next door. 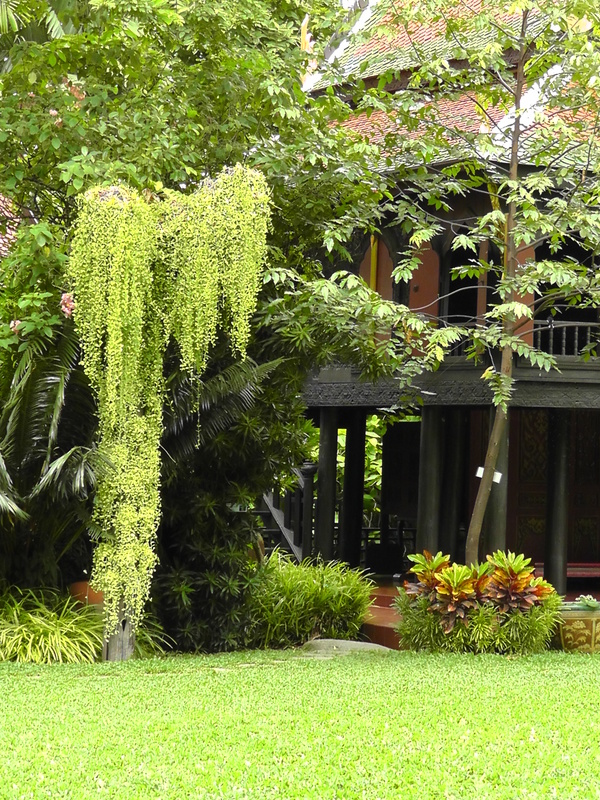 You will recognise it by its lush gardens and old Thai style roofs. The cost of entry is 100 baht, which includes a replica traditional Thai hand fan and a guided tour. However, keep note that opening hours are from 9:00am to 4:00pm. I have arrived at 3.30pm once and received a very abridged tour, which isn’t bad if you are in a rush. The collections housed in the old houses are quite interesting, but on a hot day, it can be a bit of a chore as a lot of rooms only have fans rather than airconditioning. The architecture and gardens themselves are really beautiful, and it is actually this part of the palace where I tend to spend the majority of my time exploring. These grounds are not large like many of the other Bangkok palaces, but even so, there is a lot of attention to detail here and plenty of little hidden surprises.